I don't typically write reviews, but this is the first product that has completely exceeded my expectations. The taste is genuinely phenomenal, it's something you look forward to whilst also providing you with the necessary carbohydrates and calories to maintain and exceed a healthy and bulking lifestyle. It mixes like it's already a liquid once it hits your desired liquid (water/milk). Within a 2 month use, I have already put on a lot of good muscle and helped me to gain that 'bulk' that I require. Thanks MyProtein! As other comments have suggested, when the new pouch design was released the oats are now no where near as fine meaning that there is now a grainy texture when drinking. It's a bit of a shame as I really liked the added thickness the previous oats gave without any added grain which other brands had, now my protein are the same. 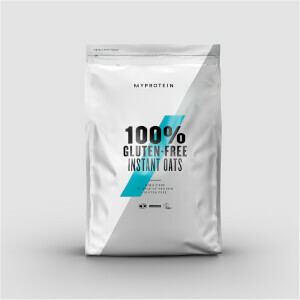 I hope MYPROTEIN can revert back to the finer oats after using up the current stock. These are brilliant for breakfast. I have two scoops in milk, with a scoop of impact whey. Sorted until lunch - I'll generally have a midmorning shake but that's more to do with my meal plan; I'm certainly not hungry! It's not a light bite - circa 500kcal with two LEVEL scoops of oats, one level scoop of impact whey, and 200ml semi skimmed milk. I buy unflavoured - it tastes like oats haha - if you use flavoured protein you don't need to worry if mixing though. Mixes like a dream and as long as you give it a good shake it doesn't clump. It's a great product - yes you could buy oats and grind them down yourself so they become drinkable, but ain't nobody got time for that! Two kids, job etc - perfect for when you free time is short! Brown powder, turns into drink, drink it, tastes good, think to self - "good drink"
Used to be Amazing..now not so!! They recently changed the texture of these. They used to be so Oaty and you really felt full and had a world of energy after having these with your shake. Now however they have ground them down so much it is like putting flour in your shake, absolutely disgusting and leave you with a bad stomach after. I feel sluggish and have no energy after consuming them. I will not be purchasing anymore which is a shame as have been buying these for a year :( PLEASE CHANGE THEM BACK! !